Carpet Off Road open for business in Perth! Adding to Perth’s growing RC racing scene, the Perth Radio Electric Car Club (PRECC) has completed the final touches on their indoor carpet off road track in Morley, WA. The PRECC club has been around for many years, running weekly club racing for EP On Road racers at their indoor facility, in recent times the club has moved around, finally settling into their current location at 26 Boag Place, Morley WA 6062 (behind the Bunnings warehouse). Adding to their existing carpet on-road track, the club has now added EP Off Road to their roster, with a new track build behind the existing circuit, allowing both tracks to share the same drivers stand. To do this, the club has relocated their pit area to the back of the building. The track itself is quite small…well its very small to tell the truth, which adds a certain element of character to the new track. The measurements come in around 20m x 10m in size, made up of older on road carpet segments, and utilising a double-crossover, a clear perspex tunnel and a fantastic wall ride, the ladies and gentlemen behind the scenes have spared no effort to deliver a great new track to throw our cars around on. I’ve had the opportunity to work with the committee in the last few weeks. Testing various tire options, minor layout changes and offering some advice on future plans, the track is very technical and crazy fast, delivering 14-16s lap times with a 2WD Modified buggy. Due to the size and fast-paced nature of the track, the track is only open to 1/10 vehicles (No EP8!) but even then it will be a challenge for even the best drivers to turn a perfectly clean run by themselves, let alone with a full field of cars on the track! But fear not racers, the layout is easy to grasp initially, after a couple of battery packs you can expect to driver comfortably around the track on decent pace. The club have been looking to address the issue of size, at the moment the track is probably too small to run a full 10 cars at once, so they plan to start out racing with 8 car heats. They have expressed a long term idea for the addition of an upper-deck back straightaway; which will add a 6th lane and open up the track to allow 10 car heats. The off road track is available for practice on Tuesday nights while they hold their regular on-road club racing, and the plan moving forward is to host weekly Saturday night off road racing, so as not to clash with the other EP Off Road tracks in Perth (West Coast Model RC and Belmont Radio Controlled Car Club) which both race weekly on Friday nights. The official launch race night is next Saturday July 1, doors open at 3pm, racing from 6.30pm. Typical carpet tires seem to be working best (Schumacher mini pins & cut staggers 2WD / Wide Stagger rib 4WD works best for me so far) however its very fun to throw down your dirt car on an old set of pin tires and cut loose! The only other thing needed are some shock tower protectors (if your car has carbon towers), a few pieces of hacked up old wing, or the bottom of a coke bottle make great protectors that are easy to make and fit to your car! Hit up the PRECC Facebook page to stay up to date with all the info. Check out how much they packed into such a small area! Hi Everyone, yesterday we saw Chris from WA join the Aussie RC news team, today SA gets a representative. So now it’s my turn to introduce myself, I’m Sam from Adelaide and I primarily race 1/10 EP OFR at Mitchell Park. I have also been known to dabble in some 1/10 ONR on Friday nights. I am currently involved with the Adelaide Radio Controlled Raceway, which is Adelaide’s only 1/10 EP OFR club and have been on the committee for the past season. I will admit that I am probably going to be more than a little biased towards 1/10 OFR but I am more than happy to promote or report on any RC events in South Australia. Hi Everyone, I’m happy to be writing my first post here as a contributor to Aussie RC. Im Chris Mitchell, 25, from Perth WA. I’ve been racing RC for 5 years now and currently race 1/10 EP OFR at tracks around Perth, but i’ve been known to pick up other peoples cars in other classes and fly around for a while before something breaks (you can guess how I got the name ‘Crash’). Aside from racing, Ive been involved in the West Coast Model RC committee for a few years now, having the pleasure of being the club President in 2016, and being able to host the 2016 AARCMCC EP OFR Australian Championships at my home track late last year. These days apart from racing, I serve on the EP OFR Committee for AARCMCC, helping to coordinate rule changes and matters arising for sanctioned events around Australia. I also have a well known talent for being able to talk the back legs off a pool table, as as such I have the pleasure of announcing and race directing some of the biggest RC race events in Australia. Anyone who races the AARCMCC 1/8 Off Road Nationals Series at the moment will have gotten sick of me by now! I’ve had some amazing opportunities and attended some fantastic events in the last couple of years because of this, all starting at the 2015 1/8 Nationals at MORBC. So, I am here to help bring more stories to the Aussie RC page, if anyone has something to share, feel free to contact me via Facebook. Thanks for reading! Bad news for Adelaide on-roaders! Bad news coming out of Adelaide with the closure of the last indoor on-road racing facility. Hobby Habit located in Melrose Park, which has been hosting Friday night on-road meetings since the Parks track closed is shutting the track come the 30th of June 2017. This comes on the back of the indoor off-road track at Hobby Habit closing last year and leaves the only on-road track in Adelaide situated at Littlehampton in the Adelaide Hills. AussieRC understands that the areas once used as on and off road tracks at Hobby Habit will be converted into storage for caravans and alike. Fortunately for Adelaide drivers, 1/10 on-road racing will continue on alternate Saturdays at Littlehampton and off-road drivers are catered for at the awesome ARCR track at Mitchell Park. Aussie RC News hits 2000 likes on facebook!! It’s taken a couple of years, but we have finally surpassed 2000 likes on facebook! Thankyou to those that have followed us along the way. This also opens an opportunity for you the reader out there to join the team. Sorry it isn’t a paid gig, and we don’t get lots of free stuff (I wish, but you never know…). All you need is the ability to strong together a decent article, have a good knowledge in the field of RC cars, and a bit of free time on your hands. I want to hear about local events, reviews of gear you have and insights into the latest releases from around the world. If this is you, shoot me an email at aussierc@outlook.com or comment or message on facebook. It seems that the milestones were coming yesterday as personally I finally decided, with some sadness, that I would be moving away from Team Durango for my vehicles. Yes, I have been very happy, but PARTS are key. If you can’t get parts, you can’t keep the fleet running, and Team Durango have posted very little news on anything for almost a year now, not a good sign when you look at the droves of customers going elsewhere as a result. 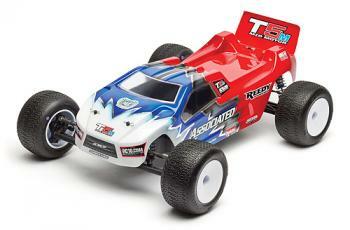 With 4 cars in the fleet (2wd Buggy, ST, SCT & my sons 2wd) there is a gradual change, but at reasonable cost. So where to go, Xray make nice cars, but as you may recall from my article about the true cost of racing, they costs are high, and no short course truck, although really Stadium Truck is the class I am enjoying most at the moment, closely followed by 2wd stock, so not a huge issue. It is hard to deny the amazing support that Team Associated give the local market in 1:10 off road in Australia, so that has to be at the top of the list, however Losi have great offerings at a similar price point as well. So many things to consider here, which way would you go? For now I will have to look at it closer and you will probably see some musings about this later and which way I decide to go.